CopySafe PDF provides the most secure copy protection for eBook and PDF documents and it is the only solution that can protect from all avenues of copy including Print Screen and screen capture. When applying DRM you can also prevent sharing with total control over print, password, and expiry protection down to the hour or day from first use. Ideal for secure distribution by email, download, on CD or displayed online from your web page. Copysafe Web is the most secure solution available for copy protection of web pages and images from all methods of copying including Printscreen and screen capture. 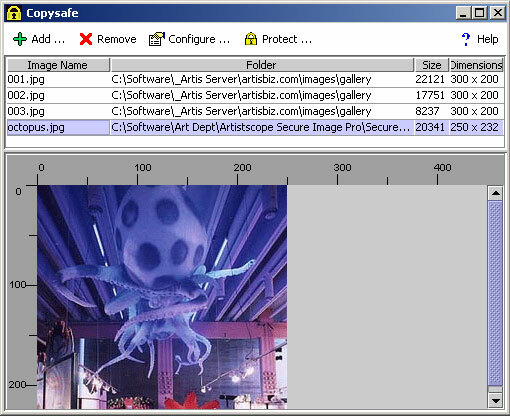 Copysafe includes all of the features found in Secure Image plus the Copysafe Web plugin to trap capture methods. Copysafe Web images and pages can be easily incorporated into all web projects for online catalogues, galleries, surveys, e-commerce and banking. 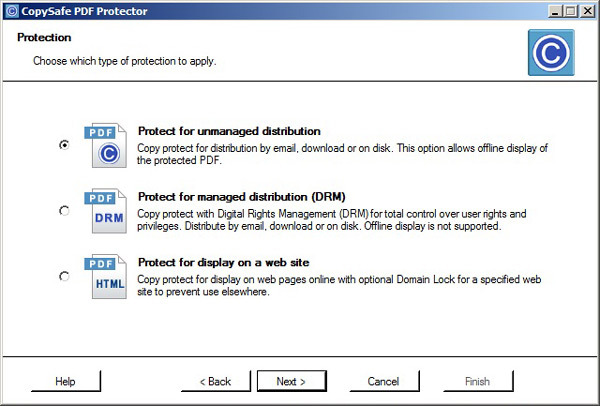 PDF Security OwnerGuard is the ultimate Digital Rights Management (DRM), Security, Copy Protection, Watermarking, Licensing and Distribution Management solution for Adobe PDF Documents (EBooks, Trade Secrets, Research Papers, Reports or ...). This product is made specially for internal company documents security and publishers of high value information published in PDF format. AutoCAD OwnerGuard provides a real Security, Protection, Distribution Management, Watermarking, Publishing, Licensing and DRM solution for Autodesk AutoCAD Drawings (DWG). This product is made specially for internal company drawing security and publishers.